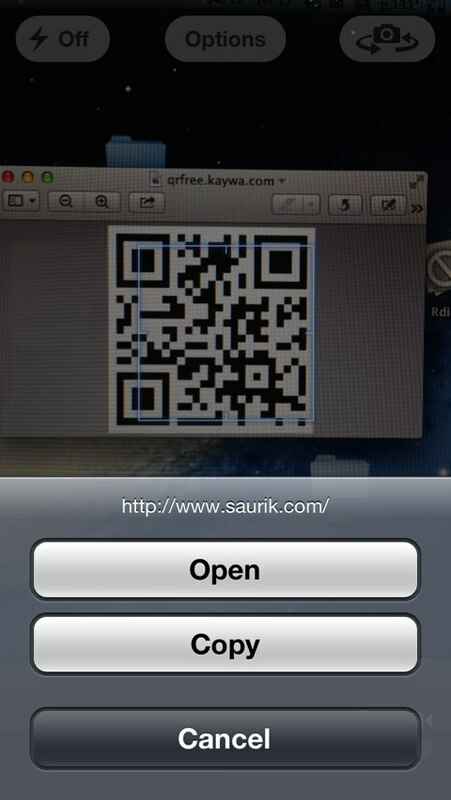 Two recent additions to the Cydia Store, NativeQR (pictured above) and Decode Camera, allow jailbreakers to easily scan QR codes on an iPhone handset using the built-in Camera app. While NativeQR is available for $1.99, Decode Camera carries a slightly lower price tag at $1.50. The only major difference between the two jailbreak tweaks is that NativeQR allows users to share contacts between smartphones using a generated on-screen QR code, while Decode Camera doesn't (as of this writing). Whether that relatively minor feature is worth an additional $0.49, however, is up to you. Though Apple's iOS 7 takes a whole load of inspiration from the jailbreak community, QR scanning hasn't yet reached the built-in Camera app (though a number of other features have). As mentioned, NativeQR and Decode Camera are available in the Cydia Store for $1.99 and $1.50, respectively. Check out the new jailbreak tweaks now, or for further jailbreak related news, see: Cydia Tweak: Vox Offers iDevice Owners A New, Minimalistic Battery Indicator, Cydia Tweak: NCEnough Shortens Notification Center Based On Its Contents, and Cydia Tweak: Slide2Kill Pro Adds Special Gestures To The App Switcher.